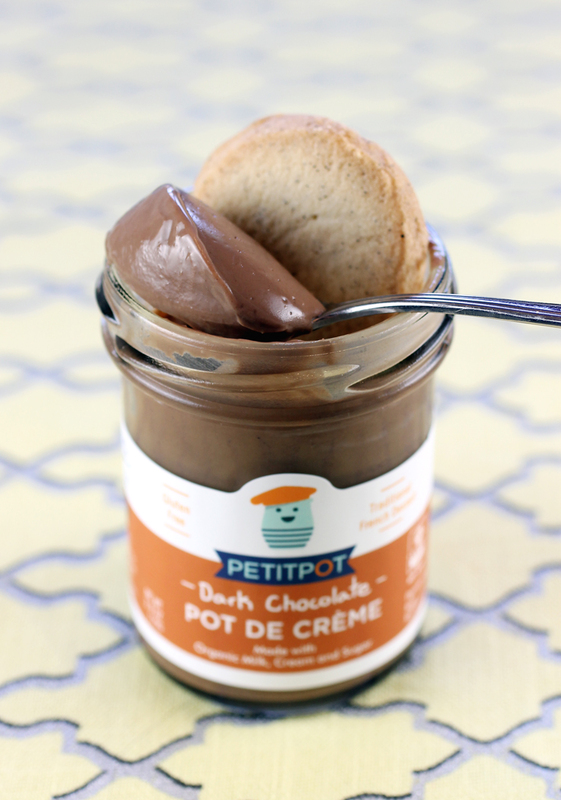 The pots de creme are all gluten-free and incorporate local ingredients. Whipped cream gives them a silky, light texture. Their consistency varies a bit, depending upon the flavor. For instance, the Dark Chocolate is thick enough to really mound on a spoon. Its flavor is intensely chocolate-y and so indulgent. On the other hand, the Strawberry & Cream has a runnier texture. It tastes like a favorite smoothie. Salted Caramel Pot de Creme. 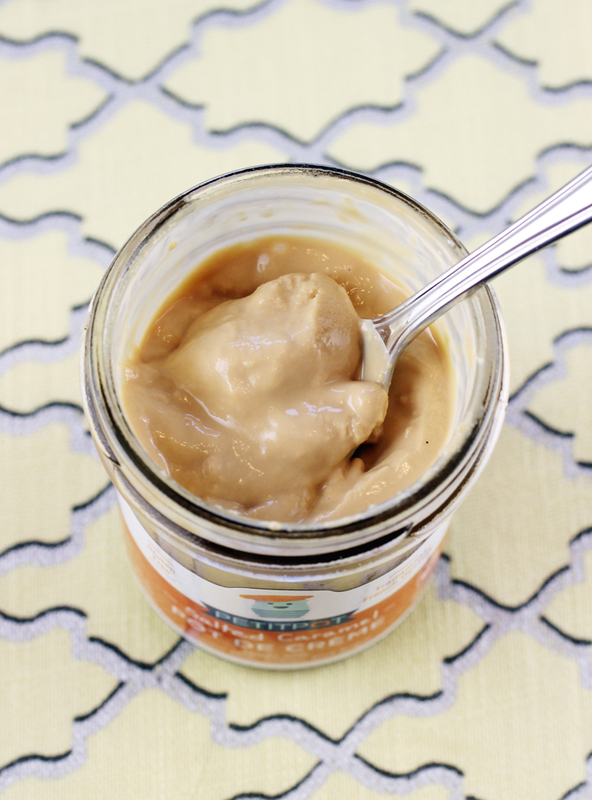 The Salted Caramel has that lovely burnt sugar taste along with a touch of sea salt to really make it pop. You will devour this one in a heartbeat. The Vanilla tastes dreamy and sports specks of vanilla bean seeds in it. The Lemon Curd was a real surprise with its really citrus-forward flavor that’s not too tart yet manages to really accentuate the lemon to its fullest. The French Mini Cookies are everything you want in a shortbread — buttery with a crisp snap to them. They, too, are garnished with a touch of Fleur de Sel. The Chocolate ones incorporate cocoa powder, as well as bits of chocolate. The Vanilla ones again have real vanilla bean seeds in them. And the Lemon has a subtle sunny flavor. The cookies are packaged six to a box for $2.99. 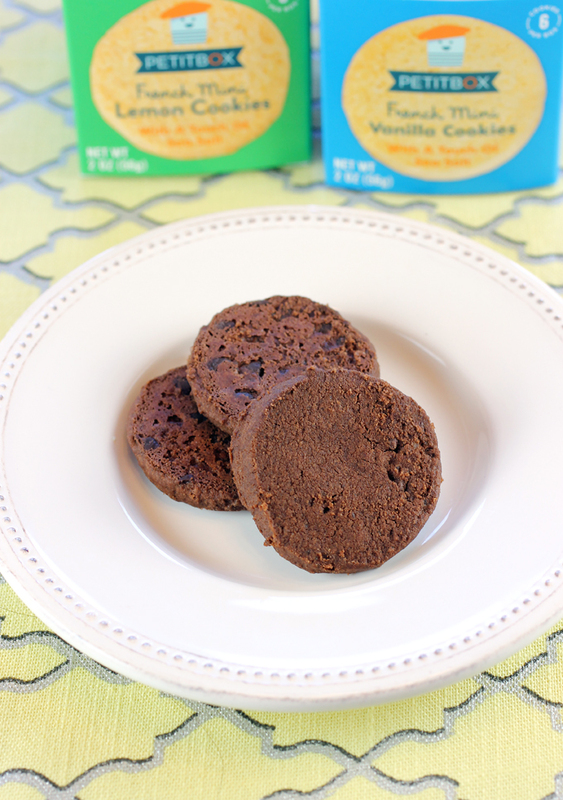 Three cookies (one serving) has about 90 to 110 calories, depending upon the variety. Each pot de creme has about 210 to 250 calories each. The 3.9-ounce jars are about $3.99 each. Find the products at Whole Foods. Or via Good Eggs, Munchery, Grubmarket or Farmbox. Copyright © 2010 Food Gal. All rights reserved.